1 Crown Office Row barristers’ chambers is presenting a seminar on the public sector equality duty on 3 March 2011 at 5:30pm. 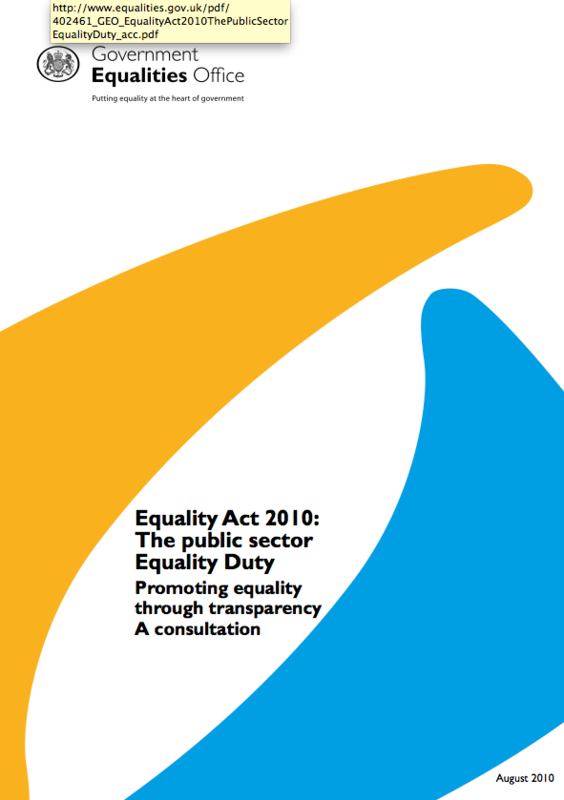 The new and wide-ranging duty comes into force on 6 April 2011. There are a limited number of free tickets available to readers of this blog who are also lawyers or work in the public sector. All details are below. Update – we have had a fantastic response since this morning and as a result the places available to readers of the blog have now been filled. We will, however, be producing a podcast of the seminar. You can download our previous seminar podcasts from iTunes by clicking here. His comment on the USSR: “…. ceaseless arrests [for the purpose of harvesting SPDs i.a. for sale by ACPO, anyone? ], censored newspapers [maybe not quite yet], prowling hordes of armed police [Heathrow, anyone? ]” is. sadly, becoming alarmingly apposite here and now.